Fall leaves, cool breezes, leaves tumbling, and Americana sounds wafting across the Sonoma County community radio airwaves on Thursday mornings. Join Dave Stroud as he shares the classic sounds of The Band members Robbie Robertson, Levon Helm, and Rick Danko, exploring some of their very best solo efforts from the past 30 years. He’ll also queue up new music from Scott McMahan, Amanda Shires, Dwight Yoakam, and John McEuen in this weeks episode on KOWS. 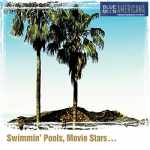 3 Dwight Yoakam Purple Rain Swimmin Pools Movie Stars.